Thank you for joining our Bet Arts newsletter. Our free eBook gives you a detailed overview about the basics of sports betting. We will give you many advices on the very first steps of your betting activity, important information about betting psychology and much more. The free newsletter will be coming to you daily and each version will contain tips, tricks, betting guides and much more to guide you step by step for becoming a betting expert. You will find all articles on our website in the area 'Betting Posts' so you can read them anywhere, anytime. We will also provide you with great offers and promotions exclusively in this newsletter. 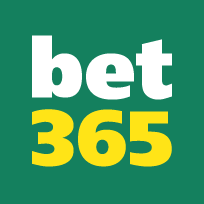 We recommend you to create an account at Bet365 or William Hill now. They offer very good odds and a welcome bonus to every new customer! Remember to keep track of all your bets with this sheet so you can optimize your betting strategy as good as possible. We don't want you to miss these important newsletters because they end up in your spam or junk folder! So please, "whitelist" or "safelist" our email address - daniel-huppertz@unitybox.de - so you don't mistakenly delete them. Thank you again for joining our free newsletter, and we wish you nothing less than success. Enjoy your time with us and good luck with your betting activity.